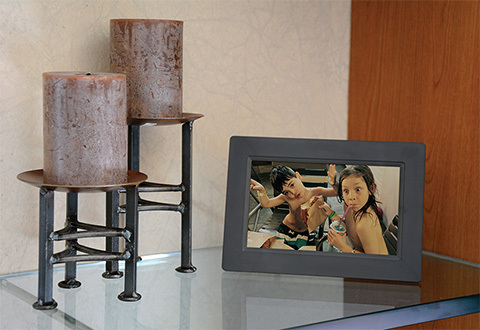 The Digital Wi-Fi Picture Frame lets you upload your favorite photos seamlessly from the comfort of your smartphone. Just visit cloudframe.sungale.com on your mobile device to set up an account, then start uploading your saved pictures directly to the device in real time. 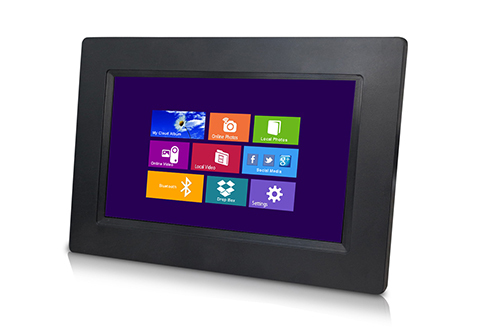 Wi-Fi capabilities allow you to connect your frame to the cloud for photo sharing, so you can browse/share photos via social media (Facebook, Twitter and Instagram). You can even watch videos via Youtube or Netflix! 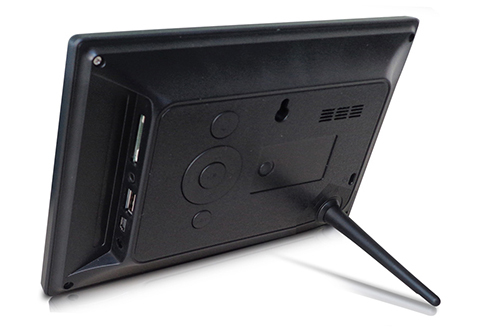 Features a built-in speaker, high-definition touchscreen, 8GB internal memory, SD card slot, tabletop stand and wall-hanging opening. Includes 5GB of free online cloud photo storage. 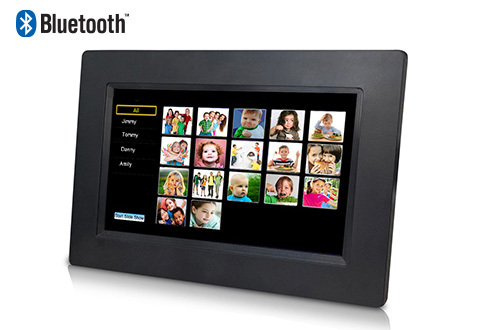 The Digital Wi-Fi Picture Frame makes it easy to upload digital photos from multiple sources. Buy one for a relative and remotely upload photos for them via your smartphone or computer!